The mail center archive contains all newsletters and mailings sent by AxCMS.net. 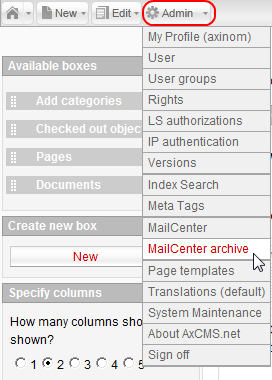 To open the mail center archive, go to Admin -> MailCenter archive. 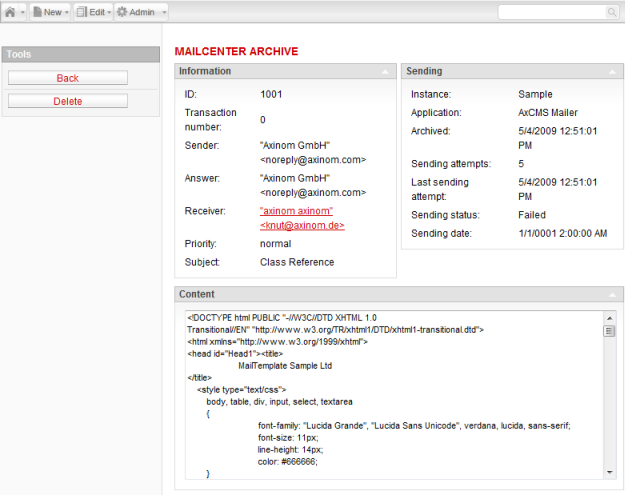 The mail center archive overview page opens. The page contains sections Filter and Chosen messages, as well as Legend on the left for managing the archive, and the section Mailcenter Archive with the list of available archive entries on the right. This is an extendable search for filtering the archive by several attributes and properties. This section explains the meaning of the edit icon. To edit an entry in the mail center archive, click the Edit icon next to the item in the list on the overview page. The detail page of selected archive entry opens. Here you can view the corresponding data on the archive but you cannot edit or save it. If there was an error during the sending process (e.g. sending limits were reached), a new section Error while sending is displayed at the bottom of the detail page. This section contains the error details. 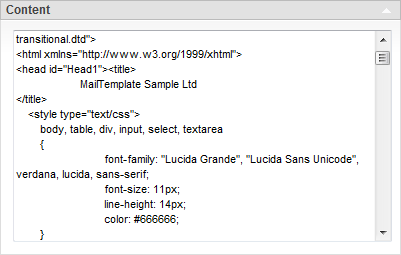 The unique ID of the sent newsletter. The ID of the archived transaction. Reply address added to the newsletter details. Email address of the newsletter recipient. Subject (name) of the newsletter. 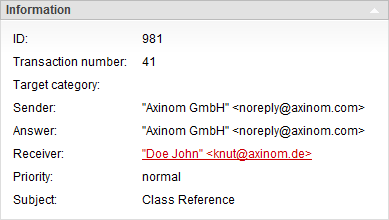 Name of the AxCMS.net instance the sending was executed from. Name of the application that executed the sending. Date and time of the archive creation. Number of sending attempts for the archived newsletter. Date and time of the last sending attempt made before archiving. The status of the sending. 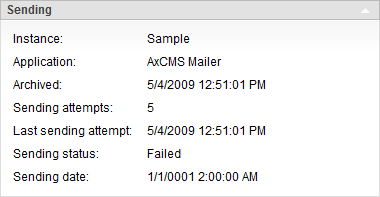 Date and time when sending was executed. This section contains the content of the sent newsletter in HTML format.